The witty side of Pangasinan 4th District Representative Christopher “Toff” de Venecia is at it again! The politiko unleashed yet another pun on Instagram on Sunday, March 24. 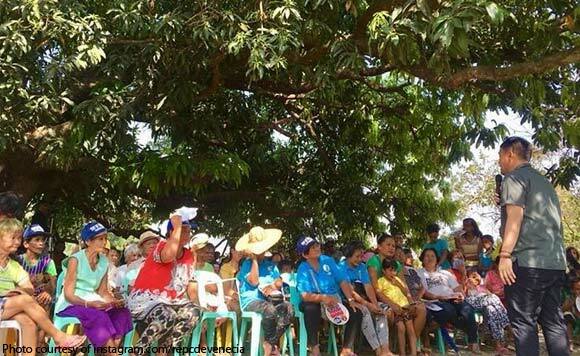 In the post, De Venecia is delivering a speech under the shade of a mango tree. “Talagang napapadalas ako ngayon sa SM – silong ng mangga,” said De Venecia.